“SONG FOR EWE” is the feature where artists & music people beloved by VELVET SHEEP choose an obscure song they’ve been listening to that day. 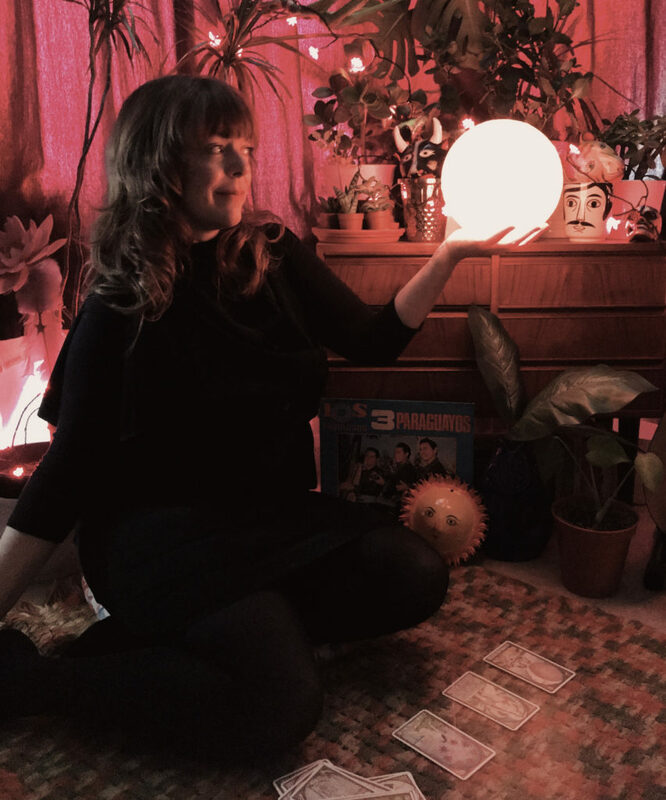 It’s a welcome return for today’s guest who’s holding the moon and the stars in her hands as she’s had a truly fantastic year, you could say it’s been the Yr. of Piney Gir in fact. Everyone’s most favourite Kansan since Dorothy, Anglophile ex-pat Piney has been whipping things up like a tornado on a whirlwind tour of the world that’s taken in James Corden’s Late Late Show in the US as one third of Gaz Coombes’ backing band, Later with Jools Holland where she and her BV singing pardners Emma Brammer and Amy Ashworth were nicknamed “The Roxys” by Nile Rodgers and most recently with an ex-Auteur supporting Ride on their 30th anniversary acoustic tour. It’s fair to say she’s been having a blast, and it’s high-time for a seismic blast of her own inimitable musical style. Living the dream and now catching it, here’s Piney Gir! An infectious joie de vivre punctuates the work of Piney and its intoxicating like illicit moonshine. She’s a little bit country, a little bit rock and roll, a little bit uncategorizable. Over the weeks leading up to Xmas, Piney has three radio sessions lined-up, including cutting a live record on Soho Radio with a lathe no-less for the Xray Audio take-over on 15 Nov from 6-9, as well as the James Whale show on Talk Radio (also on 15 November) plus a slot on Dexter Bentley’s Xmas radio show on Resonance FM on 15 December. “I’m obsessed with a song called “Bye Bye Bye” by the band Plants and Animals. It’s from one of their earlier albums “Parc Avenue”, so not a super new song, but I don’t think everyone knows this band so to me they are like a secret joy. “Bye Bye Bye” is as over-the-top & grandiose as Queen, it’s takes you on a journey it’s so epic! But the song is only like 3 and a half minutes long. CHEERS TO PINEY AND TO LUCY HURST OF BUT I LIKE YOU PR. Check out Piney’s previous soujourn on VS where she picked Ariel Pink’s Haunted Graffiti….